Our last 3 shows have been sold out, with extra people showing up at the door. For the comfort of our audience we are limiting the show to 30 tickets, and we will be doing 2 shows. 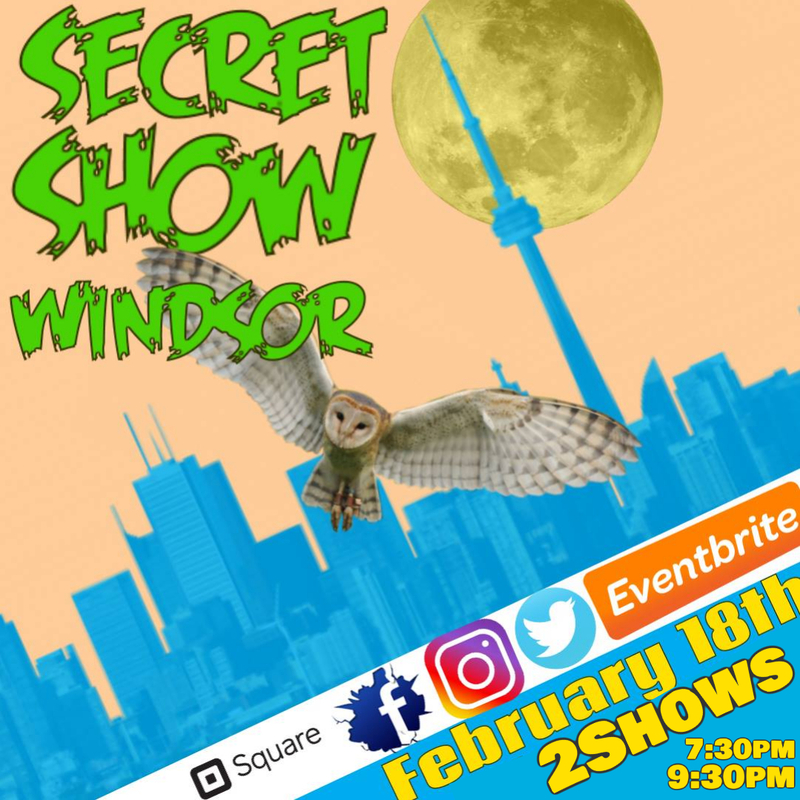 The Secret show is a Stand-up Comedy show in a speak easy bar known as the “Bind Owl”. The show features The funniest comedians from Michigan, Ohio, Toronto and, of course Windsor. The Comedy is paired with one of a kind, carefully crafted cocktails, with light jazz in the background. The show is produced to fund our travel across Ontario and the American Midwest. We also now have Tap for donations! Max Sheldrick got his start in comedy in the gritty scenes of Windsor and Detroit where he then toured the tri-state area quickly becoming known as one of the top rising comics. In 2017 he moved to Toronto where he continued to develop his potent style of high energy storytelling with hard-hitting punchlines. Mixing that with constantly performing he quickly made a name for himself. He’s performed in many competitions such as the 2017 Border City Comedy Festival where he made it to the semi-finals and is currently competing in the 2018 Comedy Brawl where he is in the semi-finals as well.He also co-created the comedy group PlusTime Comedy which produces weekly online sketches and monthly live shows with a quickly growing fanbase. Don’t tell Karen from work, She wouldn’t like it anyway.